NEW YORK / TORONTO (Sept. 15, 2015) – The National Hockey League (NHL®) and adidas today announced a seven-year partnership in which adidas will become the authentic outfitter of on-ice uniforms as well as an official supplier of licensed apparel and headwear for the League starting with the 2017-18 season. adidas Group-owned CCM will remain an official on-ice equipment supplier, delivering world-class product for NHL players, including sticks, skates, helmets, gloves and goaltending gear. The National Hockey League Players’ Association (NHLPA), NHL and adidas today also announced a partnership for the 2016 World Cup of Hockey in which adidas becomes the exclusive outfitter of both authentic and replica jerseys for the eight-team tournament next September. The 2016 World Cup of Hockey will be played at the Air Canada Centre in Toronto from Sept. 17 to Oct. 1, 2016 and be comprised of eight teams – Team Canada, Team Czech Republic, Team Finland, Team Russia, Team Sweden, Team USA, Team Europe and Team North America. More than 150 NHL players will compete in a best-on-best international hockey championship. "Teaming up with adidas continues our strategy of aligning with major partners who share our vision for growing the game and putting innovation at the forefront of everything we do for our players and fans," said NHL Commissioner Gary Bettman. "As an iconic performance brand with global reach, adidas is the perfect partner for us. With the World Cup of Hockey next year and the launch of our new partnership coinciding with our Centennial Celebration in 2017, there could not be a more appropriate time for us take our longstanding relationship to new heights." The adidas Group and the NHL have a successful, longstanding relationship through the League’s existing partnership with Reebok. This new partnership allows adidas to leverage its offerings as a leading sports brand and collaborate with one of the world’s most innovative sports leagues. The partnership will allow Reebok to continue to focus on and invest in strengthening its positioning as a leading fitness brand. As part of its new strategic business plan, adidas is aggressively refocusing its resources to become hyper-relevant in America by increasing its presence in key U.S. sports. 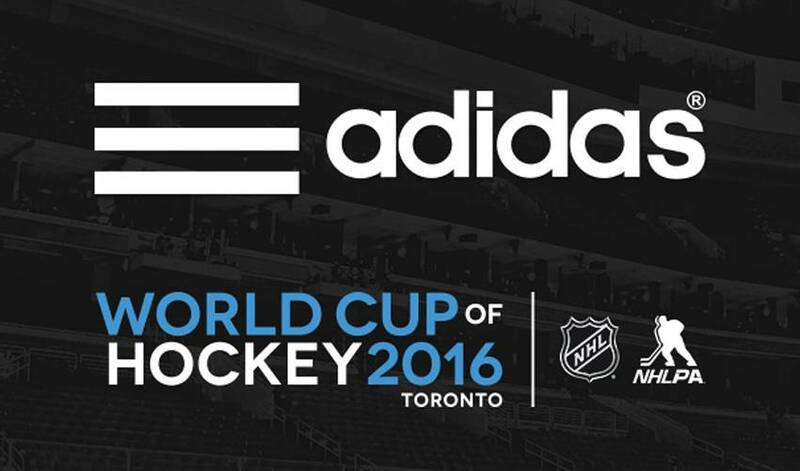 With hockey as the leading sport in Canada, this partnership will also drive growth for adidas’ Canadian business. The adidas NHL partnership news comes on the heels of adidas announcing the signing of Connor McDavid, the number 1 pick in the 2015 NHL Draft. adidas plans to add more top NHL players to its growing roster of professional athletes. In addition to merchandising rights, the partnership will bring adidas’ high performance training footwear and apparel to the locker room for every NHL team. At all key NHL events, including the Bridgestone NHL Winter Classic®, the Coors Light NHL Stadium Series™, the Stanley Cup® Playoffs and the NHL® All-Star Game, adidas will connect with fans through largescale brand activations. To spur growth and excitement in the game, adidas will work side by side with the NHL on a number of grassroots initiatives. NHLPA and the NHLPA logo are trademarks of the National Hockey League Players’ Association. © NHLPA. All Rights Reserved. NHL, the NHL Shield, the word mark and image of the Stanley Cup and the word mark NHL Winter Classic are registered trademarks and the NHL Winter Classic logo, NHL Stadium Series name and logo are trademarks of the National Hockey League. NHL and NHL team marks are the property of the NHL and its teams. © NHL 2015. All Rights Reserved. The National Hockey League (NHL), founded in 1917, consists of 30 Member Clubs, with players from more than 20 countries represented across team rosters, competing for the most revered trophy in professional sports – the Stanley Cup®. Each year, the NHL entertains hundreds of millions of fans around the world. The League broadcasts games in more than 160 countries and territories through its rightsholders including NBC/NBCSN in the U.S., Sportsnet and TVA in Canada, and Viasat in the Nordic Region. The NHL reaches fans worldwide with games available online in every country including via its live and on-demand streaming service NHL GameCenter LIVE™. Fans are engaged across the League’s digital assets on mobile devices via the free NHL app; across nine social media platforms; on SiriusXM NHL Network Radio™, and on NHL.com, available in eight languages and featuring an enhanced statistics platform powered by SAP, providing the definitive destination for hockey analytics. A historic media rights partnership between the NHL and MLBAM will transform the fan experience across the League’s digital and broadcast assets, with an emphasis on deeper access into the game and enhanced storytelling. To celebrate the NHL’s international diversity, the World Cup of Hockey will return in September, 2016, a best-on-best international tournament featuring eight teams comprised of the world’s best hockey players. On Founder’s Day in November 2017, the League will be celebrating its Centennial anniversary, commemorating 100 years of NHL hockey. The NHL is committed to giving back to the community through programs including: Hockey is for Everyone™ which supports nonprofit youth hockey organizations across North America; Hockey Fights Cancer™ which raises money and awareness for hockey's most important fight; NHL Green™ which is committed to the pursuit of sustainable business practices; and a partnership with the You Can Play Project, which is committed to supporting the LGBT community and fighting homophobia in sports. For more information, visit NHL.com. The National Hockey League Players' Association (NHLPA), established in 1967, is a labour organization whose members are the players in the National Hockey League (NHL). The NHLPA works on behalf of the players in varied disciplines such as labour relations, product licensing, marketing, international hockey and community relations, all in furtherance of its efforts to promote its members and the game of hockey. In 1999, the NHLPA launched the Goals & Dreams fund as a way for the players to give something back to the game they love. Over the past 15 years, more than 70,000 deserving children in 33 countries have benefited from the players' donations of hockey equipment. NHLPA Goals & Dreams has donated more than $22-million to grassroots hockey programs, making it the largest program of its kind. For more information on the NHLPA, please visit www.nhlpa.com. adidas, a global leader in innovative sports footwear, apparel and accessories, is the official uniform and apparel provider for the National Basketball Association and Major League Soccer. The brand has marketing agreements with the National Football League and Major League Baseball. adidas develops high-performance footwear, apparel and accessories for more than 100 collegiate programs including Arizona State, Indiana, Kansas, Louisville, Miami, Michigan, Mississippi State, Nebraska, North Carolina State, Texas A&M, UCLA and Wisconsin.